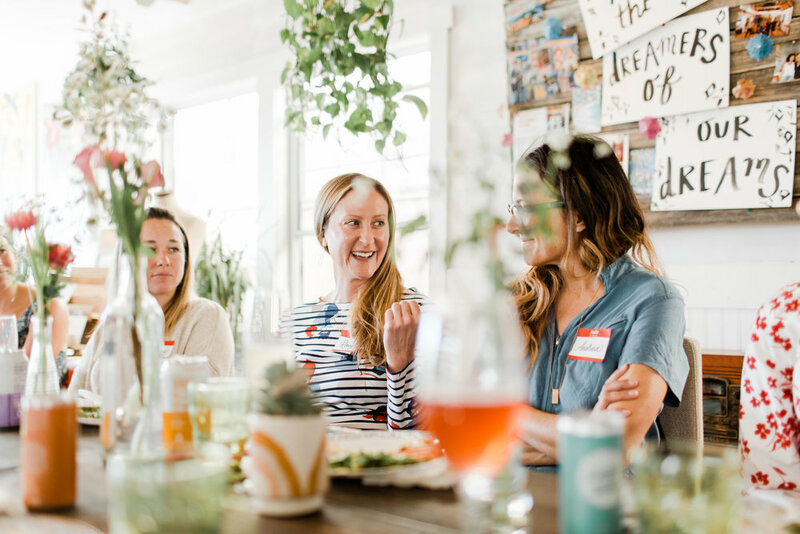 This is the ultimate brunch workshop EXCLUSIVELY for local Makers looking to connect with other local small business owners running the same marathon as you. Connect & Learn = this particular one is all about INSTAGRAM! 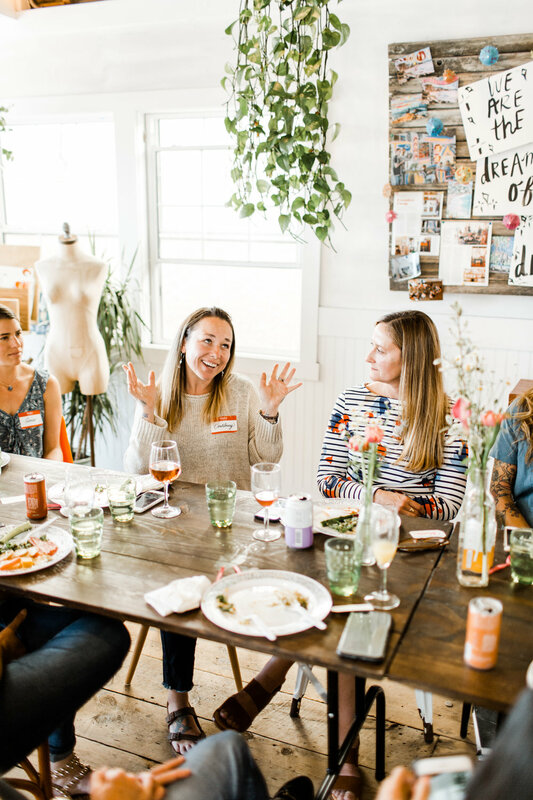 WHO IS IT FOR: This mastermind group will consist of an intimate group of Orange County makers & shakers. You might be a one or two person shop, a side hustler, or onto your next new business! 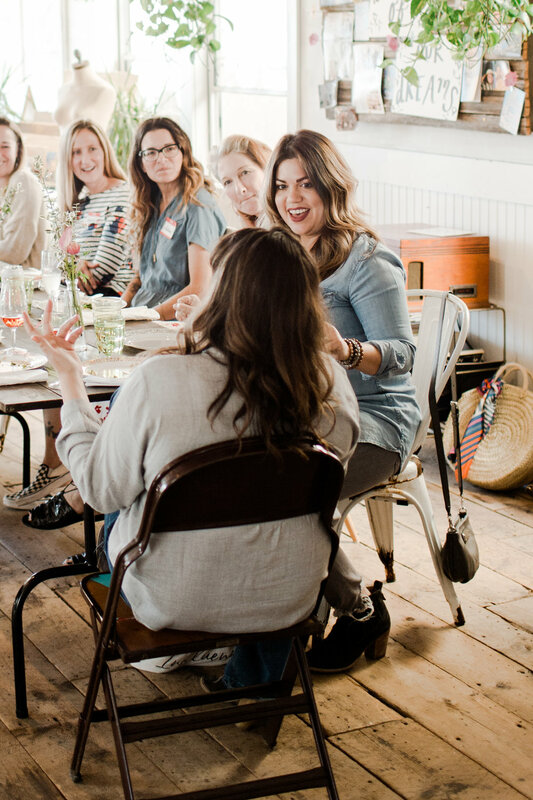 You're looking to connect with other small business owners to learn from one another and be guided through tactful strategies to scale & grow. This series will be a “guided” theme-driven, structured mastermind. The flow will be fun, interactive, and reflective. You’ll be challenged to explore your unique opportunities to shine with your customers & clients and ultimately get in the driver seat for the business of your dreams. How to direct your efforts on Instagram to strategic goals like making sales and gaining customers - it’s all about those DM’s girl. Bonus! iPhone Pro Kit - you'l take home your own guide & props to get the best shot without the fuss. Like you just got so legit. Visit our workshop page for full details and pricing. This stunning, sustainable succulent heart arrangement looks incredible both indoor & out, in a bathroom, hung on a wall or an the entry of your front door. Take in the ocean breeze, enjoy the view, and learn learn tips from the pro, Mike Pyle of Mike Pyle Designs and Succulents for Laguna. In this two hour workshop, you create your own one-of-a-kind succulent heart arrangement filled with love. Mimosas and light brunch snacks will be served during this private event. Registration fee is $125 per person/arrangement, and includes the reclaimed wood heart planter box, soil, 7, 4" succulent plants handpicked by Mike and step-by-step instructions. Tickets can be found on our workshop page here. “Makers & Shakers Series” - a three part series/mastermind group setting to help you grow & reach new business goals with social media, email marketing, and local outreach. PLUS: Sunday events include brunch & Thursday evening includes sips & snacks. Post series, 1 hour one-on-one brainstorming session with host, Michelle Mercado of SOURCED. & Sourced Pop Up Markets. Series is offered as both a bundle and as single workshops. Visit our workshop page for full details and pricing. IT'S A PAINT (and Pot) PARTY and you're invited! Lead by Jaclyn Florescio of Yellow & Lace, this instructional high vibrational paint night will unlock your creative spirit. Each guest will be given everything he/she needs to complete their own masterpiece - you'll bring your own creative super powers. .....OR YOU'LL JUST DO YOUR OWN DAMN THING. peace sign. *Note this is a BYOW type of thing. DATE NIGHT: Cocktails & Succulents! Date night just got a whole lot sexier! Get your hands dirty with the one you love and join us for a fun date night making your own modern and sleek succulent arrangement. Did someone say cocktails? Mike Pyle, of Mike Pyle Designs & Succulents for Laguna, will show you first hand how to map out & create your own one-of-a-kind arrangement. You'll also learn the insider tips and tricks on how to keep these suckers alive! Workshop includes your choice of our "Bonnie" or "Clyde" concrete container, soil, succulent plants, step-by-step instructions, and of course, sips & nibbles in the form of artisan cocktails & delicious appetizers because that's how we roll. "The Bonnie" - Concrete Square, measures 11.5"x 11.5"
"The Clyde" - Concrete Rectangle, measures 19.5" x 4.5"
Tickets available on our workshop page here. Our girl, Jaclyn aka Jac Attack, of Yellow & Lace and our incredible studio manager is hosting her Beginners Calligraphy Workshop on Saturday, March 31st! You'll learn everything you need to know to get the basics of calligraphy with this hands-on teaching approach from the anatomy of a calligraphy pen, to how to hold and write with the pen properly, and care for your tools. You will learn the basic strokes, and be lead through various exercises & practices to help you gain control. You'll leave with a true understand for the art, learn to create the formation of letters and words on your own, and experiment developing your individual style. Date & time: Saturday, March 31st from 10:00am to 1:00pm here at SOURCED. Material requirements: Registration includes all supplies, 3 hours of instruction, 2 nibs, an oblique pen, ink, practice paper, and instructional worksheet, and a lot of fun! Light refreshments and snacks will be provided! yum. Tickets are $120 and available online here. Have you ever thought about starting a blog to share your point of view with the world? Whether you want to blog about parenting, fashion, food, fitness, photography, travel, or your dog, blogging is a great platform to voice opinions, share life experiences, express creativity, entertain and educate others. Come and find out what it takes to be a blogger with a FREE presentation from officemate & nationally published journalist and website developer, Sharael Kolberg. What if someone else is already blogging about my topic? How do I find people to follow my blog? Do I have to be a good photographer? Speaker Sharael Kolberg is the founder of Kolberg Creative Services offering her clients variety of services to help grow their business through website development, copywriting, social media management and professional photography. 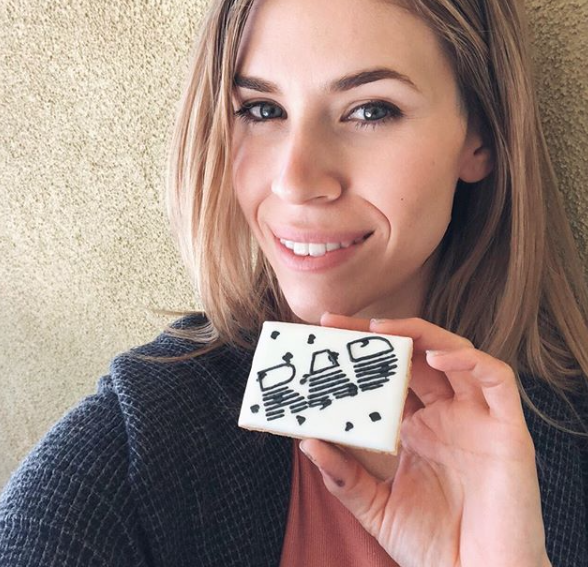 Her work has appeared in various magazines, newspapers and websites, including Outside and Sunset, as well as local publications like Laguna Beach and Newport Beach magazine, and travel focused features in CNET News.com, Examiner.com, Forbes Travel, Orbitz, Expedia and more. This is a free presentation with limited space, please RSVP to the link below to reserve your spot. Is your profile photo in need of an update? Put down the selfie stick and join us for a portrait workshop designed for creatives / business owners / slashies alike. Make a strong first impression - allowing you to elevate your service, product, and brand. We've linked up with Steve Orlick (SOURCED. officemate, resident photographer & portrait master) to shoot portraits that will reflect your personal brand and style. Each creative will have a dedicated time slot for their personal photo shoot. The search for the perfect profile photo is over. Step two: Work with you to develop your signature look. Step three: Have fun and let Steve capture the real you. Creative Direction & available props from SOURCED. Not available to make this one or it’s sold out? We offer one-on-one sessions or our next sessions in March. PURCHASE YOUR SPOT ON OUR SHOP PAGE! Not available to make this one or it’s sold out? We offer one-on-one sessions or look out for our next group date in March! Unfortunately, due to material costs, cancellations after February 1st cannot be refunded. If desired, bring gloves. Tickets available here on our WORKSHOP page. ...and I bet you still have 10 million things to do. Let us help you out! Local creative Hailley Howard of Hailley Howard Photography and Shannon O'Neil of Cargo Creative are hosting styled family-portrait sessions here at SOURCED. this Saturday, November 11th for your 2017 holiday photo needs. Let's get it checked off your list and your family looking great! Email shannon@cargo-creative.com to book today! Join us for a special hands on introductory natural dye class with local artist Kristin Morrison. This natural dye class will be focused on those plants that are native to Southern California, can be foraged or grown easily in our climate. The course will focus on low water, low energy preparations including how to start a solar dye vat and preserve your dye by tincturing for longer term use. Students will learn about which bio-regional plants give color, how to process them into dye and prep fibers for “light-fastness”. Focus will be on giving students the skills to work on their own, identify tried and true plant dyes, and how to use minimal water. More about the Artist: "I am an artist whose medium, natural dyes, is the primary focus of my work. I use natural dyes as a medium for dyeing and printing textiles, installation, my own apparel line KAM Textiles. Most importantly I work with plant dyes and local fibers as a conceptual vehicle to demonstrate how we are all connected to the natural world. Some of my past and current work involves dyeing for other brands, teaching, and collaborating with organizations such as and LA Fibershed and The Ecology Center, where I lead our Handmade Maker’s Market each fall. Over the past two years, I have been focused on being a mother to Ocean, while growing food and dye plants in our garden, surfing and doing yoga whenever possible and working on a new iteration of my brand to be launched fall 2017. Stay tuned!" Skill requirements: This workshop is geared towards beginners. Materials & Take away: Students will leave with a watercolor dye chart, yarn swatch library and a Shibori dyed handkerchief. Join us for a magical afternoon here at SOURCED. where we’ll be sipping on Kombucha Mimosas & creating art inspired to manifest your dreams come true! This is the first of a series of Transformative Art Workshops hosted by resident artist, Ali Rybczky with each class designed to inspire your creative spirit and let it shine out into the world! In this three hour workshop, we will be using a variety of mixed media- painting & collage techniques, accompanied by a writing segment, to create a series of 5 x 7 in. This isn't your traditional tarot concept- this is a personalized experience, each card composed with empowering affirmations by you, for you. This course is based on following our own inner guidance system- Through intention we are able to feel inspired and energized towards the guidance that makes us soar. Students will be lead through light hearted questions & art making, as they discover their unique messages that blossom from the cards! Students will leave the course with three custom tarot cards, inspired hearts & most likely, paint stained hands! Join us for a special Spring inspired floral workshop with resident florist and SOURCED. creative extraordinaire, Yoshi O'Connor of Floral Fête . In this workshop you will learn how we use various armatures to create unique floral arrangements. You will have the opportunity to create a gorgeous floral arrangement to take home and show off to your friends and family! All tools and supplies plus sips and snacks will be provided. Space is limited to 20 - this is a workshop that constantly sells out, make sure you grab your tickets. 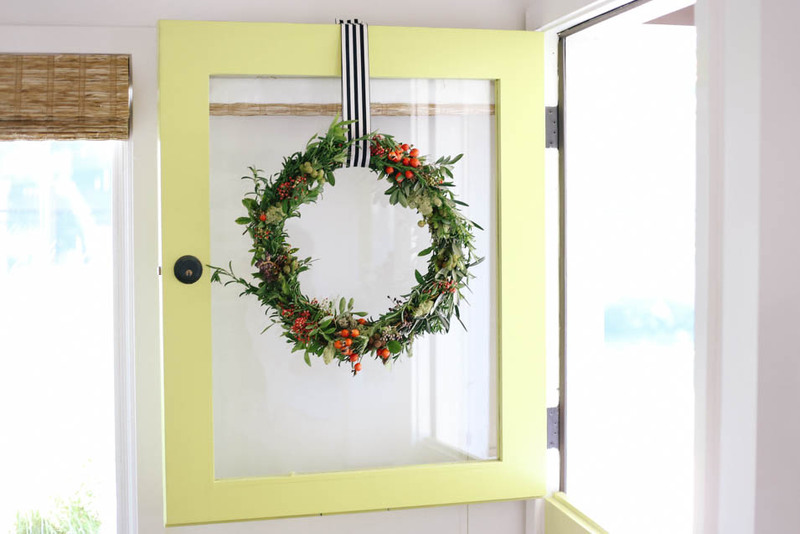 Join Floral Fete for this special Holiday Wreath Workshop! We're going to be creating modern, geometric wreath bases from branches, and decorating them with gorgeous fresh pine, winter greens and berries. We'll have tons of other fresh and preserved botanicals to choose from to help you make your wreath unique. Plus, you'll have the opportunity to create other geometric shapes for ornaments and table decor, and get some ideas on how to utilize them in your holiday decorating. Calling all creative entrepreneurs! 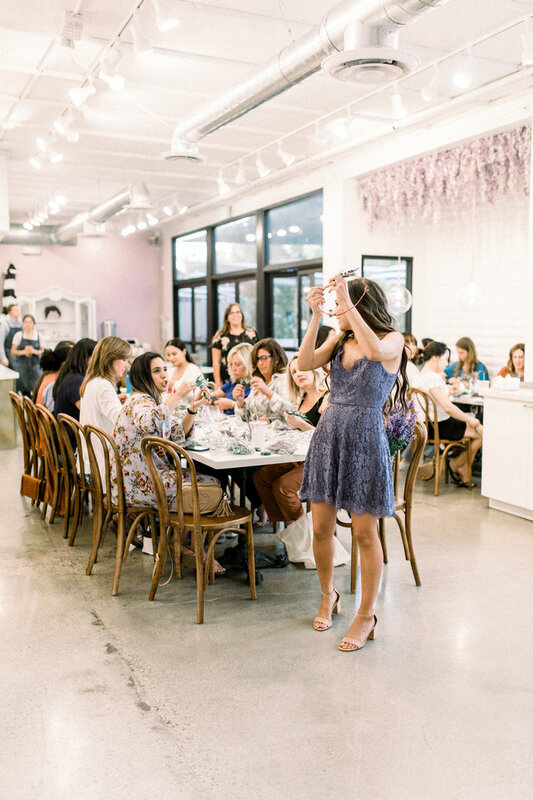 We are excited to announce that we’ll be hosting HoneyBook’s Pop-Up Workshop on August 25th from 7pm-9-pm. Admission is complimentary and you can check out their event page here. We’re partnering with HoneyBook’s local Business Coach Arpit Mehta where he’ll be showing how to use HoneyBook. All non-members will receive complimentary trial accounts, and HoneyBook will be offering 20% off of the current one-time fee. 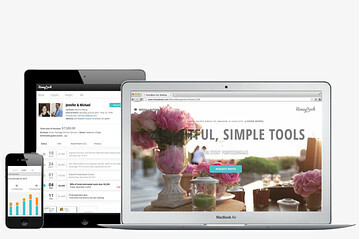 You can use Arpit’s code to get $100 off of the Founding Membership. Learn more and RSVP at popupoc.honeybookevents.com // Hope to see you there! A 25 Beautiful Things Reunion with Watercolor & Wine! An fun and intimate gathering for those who’ve taken Anne-Louise Ewen’s workshops featuring 25 Beautiful Things, Fine Art Coloring Books for Adults. Returned guests are welcome to bring your paints, brushes and book and paint again with the creator of 25 Beautiful Things to refresh your creativity and enjoy connection through shared stories from our creative journeys. Let’s share the pages we’ve painted & paint more amongst good company! An evening to enjoy creativity, connection, and inspiration! $25 includes one coloring page, one greeting card with envelope, plus wine and snacks. Additional books, cards, and kits will be available for purchase, including Anne-Louise’s new book, 25 More Beautiful Things. EXERCISES IN FOLLOWING YOUR BLISS with PAINT & UNCONVENTIONAL COLORING BOOK! This two hour, hands-on art workshop is great for individuals or teams who would like to unlock creative potential and to approach all endeavors with a more playful and unconventional outlook. Anne-Louise Ewen, lifelong artist and creator of 25 Beautiful Things, A Fine Art Coloring Book for Adults, will guide participants through a series of anti-authoritarian painting exercises that are fun and liberating using watercolors and the pages of her book. You'll take home your own 25 Beautiful Things Complete Kit, which includes the 36 colors watercolor set, 6 travel size brushes in a cloth storage pouch and the 25 Beautiful Things Fine Art Coloring Book that will help you to continue accessing your creativity long after the workshop is done. Bring your favorite people or come to meet new friends who love to learn, grow and lead lives full of inspiration. Workshop is limited to 12 and is located at our sunny Laguna Beach studio on Saturday, July 30th from 1pm until 3pm. Join Virginia Sandfer, Owner and Creative Director of Third & Brand for this unique Chalk Art & Lettering Basics Workshop. Third & Brand is a creative services design studio that specializes in custom chalk art, graphic design, hand lettering, illustration and social media account management. Learn basic techniques for creating beautiful DIY signage for parties and events or simply use your chalk art as a unique piece of art for your home. We are so excited to announce our first Screen Printing Workshop with Shifting Status Kuo! It will be an afternoon to get into the holiday spirit while also getting a head start on DIY gifts! You'll be learning new techniques that can be applied to creating unique & handmade holiday gifts. You'll screen print 3 sets of cards and 2 cork coasters. With hands-on demonstrations during the workshop, you will learn how to get your own designs onto your screen with screen filler technique and masking technique. You will learn how to properly ink their screen and how to print differently on smooth paper vs textured cork. We will also go over how to heat set ink on the cork coasters so the designs don’t wash off with use. All materials will be supplied, just come dressed in something you can get messy in! Registration & Tickets: Early bird price of $45 available until 11/22 and goes up to $50 after that. Reserve your spot and purchase tickets at www.shiftingstatuskuo.com. 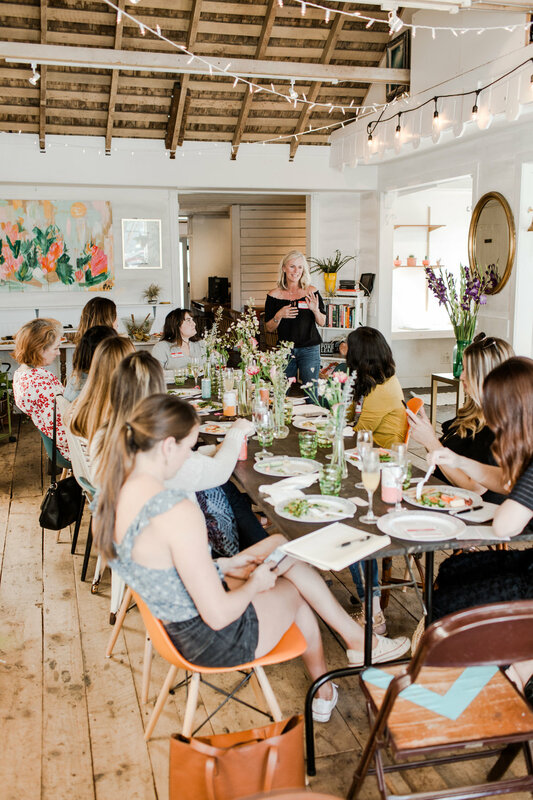 Join Laguna Beach locals, Jeanne Stewart and Nina Hayes, of Home With Her - a lifestyle blog for the modern everyday woman for their first official Wreath Making Workshop! ABOUT HOME WITH HER: Both Jeanne Stewart and Nina Hayes have always been inspired by a simplistic approach and effortless style. With Jeanne's background in photography and Nina's experience with style they found themselves sharing the same simplistic vision. As they continued to collaborate on creative projects they realized that their biggest muse was "Her": the natural beauty who seemed to have everyone intrigued. 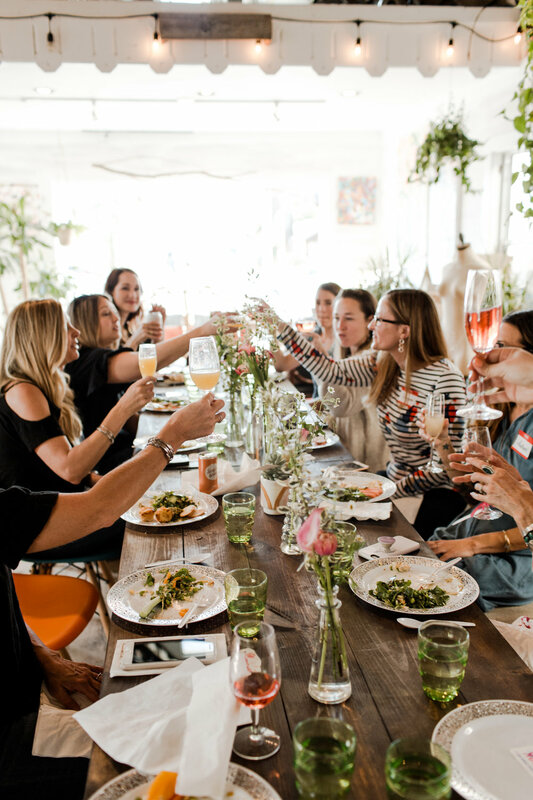 The lifestyle blog Home With Her, a guide for the modern day woman, evolved from their desire to creatively cultivate awareness for better living. Join them for a fun filled evening where you will create a one-of-a-kind, handcrafted wreath from a variety of fresh greens, branches and berries. You’ll also have the opportunity to meet some new friendly faces, sip on some cider and share some holiday cheer. Perfect way to reign in the holidays..
Tickets came be found here! Bring your own pot or purchase one of our - we'll have our DIY potting bench set up with soil and succulents for you to make your own arrangement. 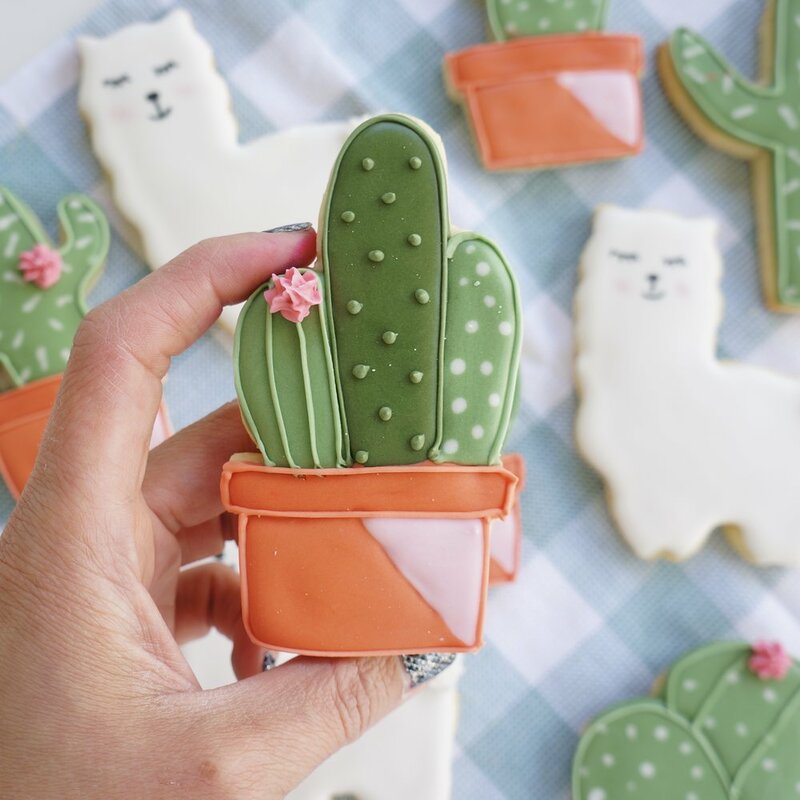 We'll be bringing in our best vintage pottery and a wide variety of unique succulents to get our hands dirty with! Pay for what you make - no need to RSVP. A special floral workshop inspired by the colors of Mexico hosted by Floral Fête! On Sunday October 11th, we'll be making fresh floral arrangements inspired by the spirit and colors of one of Mexico's most important holidays, Day of the Dead. Bring a friend to this fun afternoon, and leave with a beautiful, and vibrant arrangement ready for your Mexican fiesta that night! 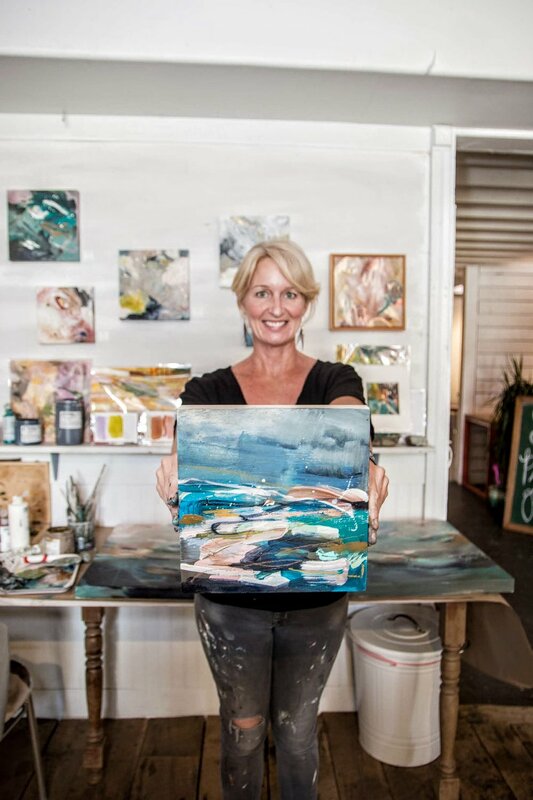 The workshop will take place at our Laguna Beach studio from 1-3pm. All tools and supplies are provided as well as festive drinks and light snacks. Ticket's can be purchased on Floral Fête website - link here!